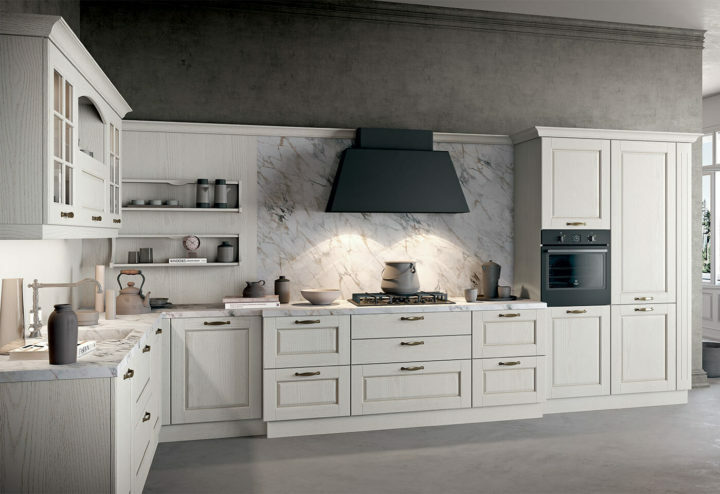 Back to the past with a traditional yet light kitchen. 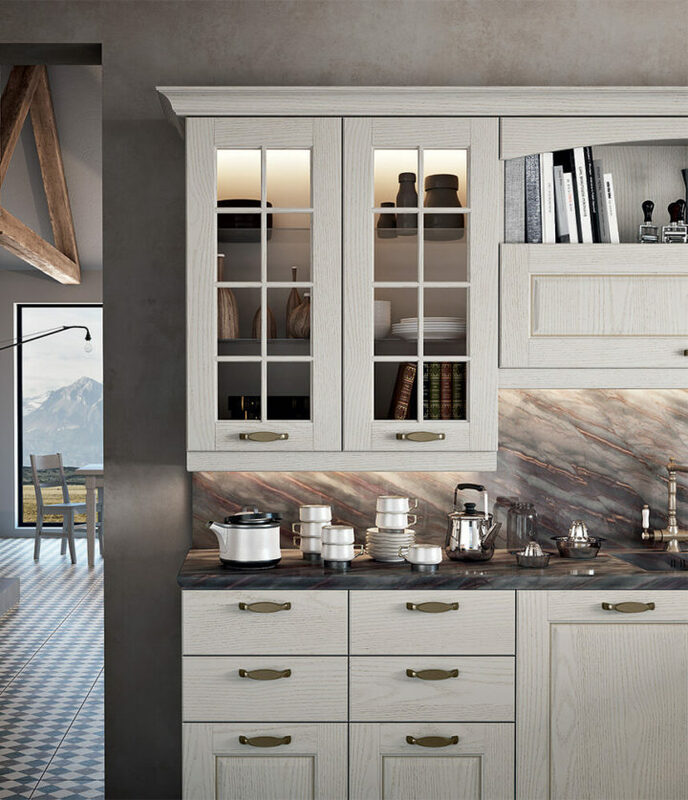 Meticulous details for the Asolo kitchen. 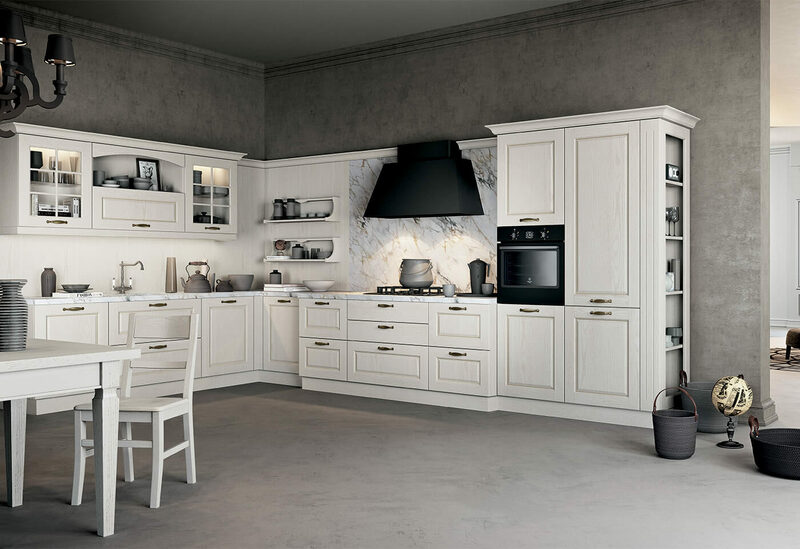 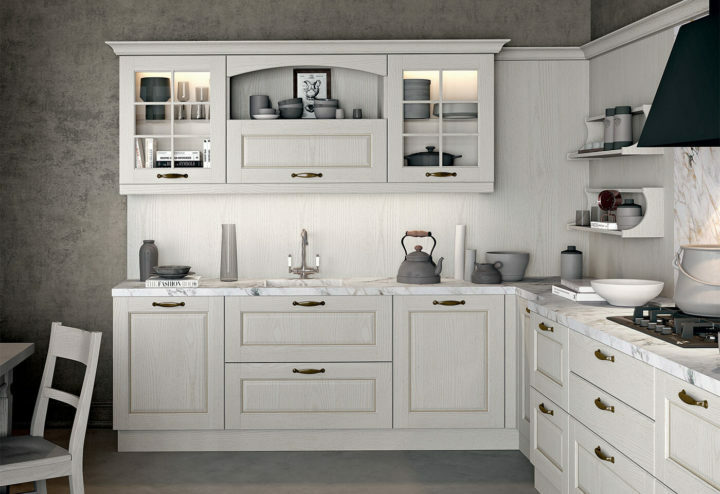 Asolo is an elegant kitchen with a classic yet light style, also achieved with moldings and narrow decorative elements, showing how all our design projects pay attention to detail. 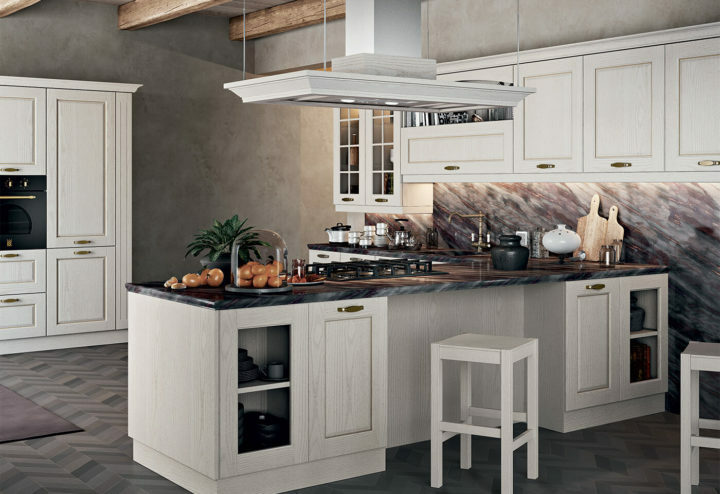 The reassuring atmosphere of Asolo is due to the combination of white ash, cashmere and caravaggio walnut. 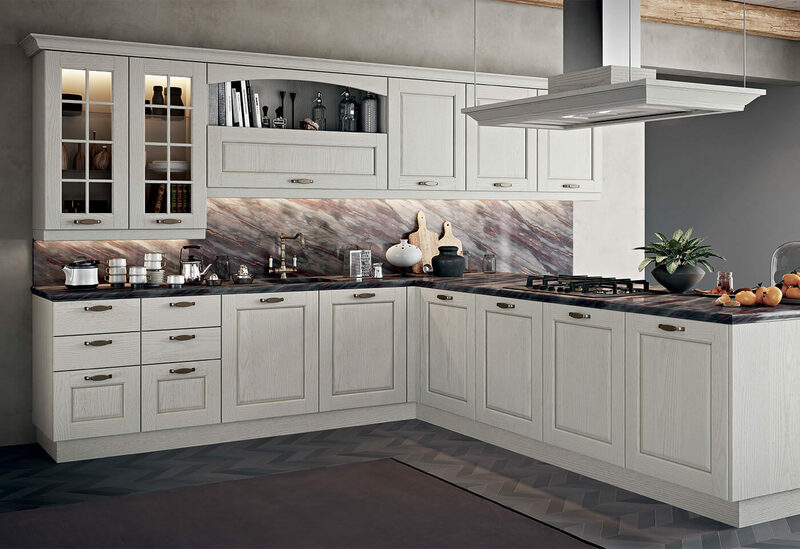 This Asolo composition allows you to fully enjoy the kitchen, thanks to a composition with an island, a tall unit system with a double oven and wall units. 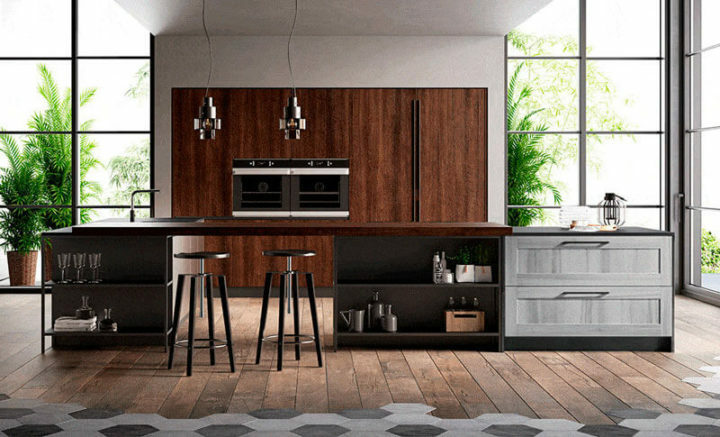 The open modules designed to match tall units and the central island are decorative and functional with their many different surfaces. 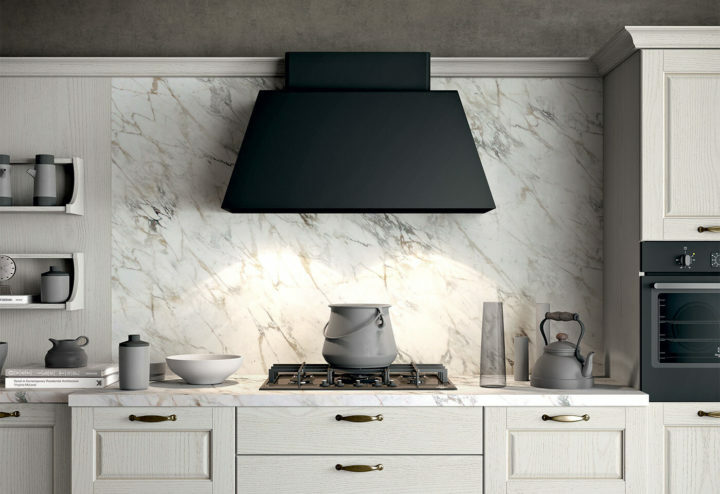 The striking cachemire open pore lacquer finish constrasts with the graphite brown marble countertop. 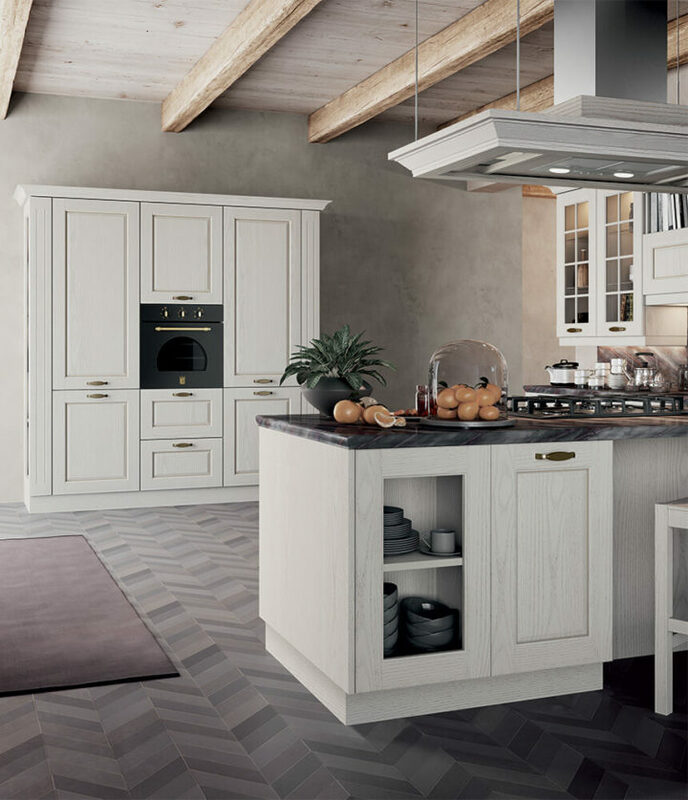 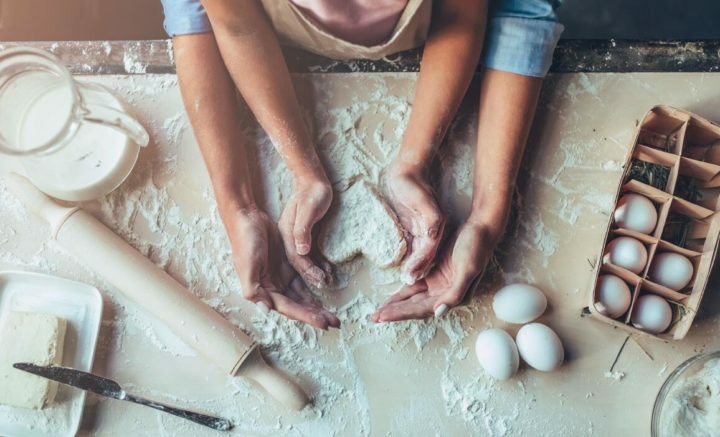 We call it quality, you can call it peace of mind!